Our firm is a family. We focus on relationships - not just in our company culture, but also with our clients’ families, their businesses and in the community. 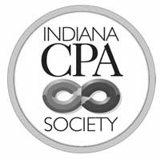 Our founding partners spent three decades building Sherman & Armbruster into a highly trusted and respected accounting firm in the Greenwood and Greater Indianapolis area. In 2018, we changed our name to Compass Pointe CPAs as part of our growth strategy. Even though our name is different, we have the same dependable staff. "We believe our commitment to our clients and to absolute customer service has defined us over these many years. Our investment into our communities also says a lot about our people." "We have a breadth of knowledge and experience that greatly benefits our clients. Our people are who we are as a firm." "Our people make a difference for our clients. We've known each other for a long time. We have a trust among one another that builds confidence about our work." "Our relationships with our clients are critical. We focus on their needs and make certain we provide them a gold standard level of services. That's the reason why I am here."